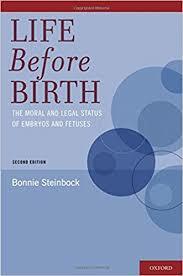 Fetal Viability research papers discuss the abortion issue from the stance of when is a fetus determined to be viable. Fetal Viability research papers report that protection under the Fourteenth Amendment is not the only element that has been offered as a determining factor in the availability of legalized abortion. The issue of when a fetus can be considered a viable human being has also been entered in many cases that debate a pro-life verses pro-choice stance. In the Supreme Court Case of Planned Parenthood of Southeastern Pennsylvania vs. Carey, the Court determined that the State was compelled to intercede in cases involving the viable fetus but that the determination of viability is largely at the discretion of the physician. Only when a fetus is considered capable of survival outside of a woman’s body may the State enforce abortion regulations. Unfortunately, the determination of viability is an inexplicit science. The inexact measures of proving fetal viability were addressed in the case of Planned Parenthood of Central Missouri v. Danforth, which went before the U.S. Supreme Court. The U.S. Supreme Court determine that an attending physician had the right to ascertain the viability of a fetus on an individual basis. The Supreme Court rejected previously decided fetal conditions for that determination. The Supreme Court voided a Pennsylvania statute mandating adherence to a standard of care if the fetus was, in fact, determined viable. Although the definition of personhood varies among the different state and federal statutes, these laws coexist with current abortion laws by explicitly prohibiting the prosecution of a woman for the death of her fetus. The laws similarly prohibit prosecution of medical professionals providing legal abortions. There are three standards used in the various state laws that define, for the purposes of prosecution, when a fetus may be considered a person in the eyes of the law. The born-alive standard requires the fetus to survive outside of the womb in order for a person to be prosecuted for the death of the fetus. According to the viability standard of personhood, a person may be prosecuted for the death of a fetus if the fetus could survive outside the mother’s womb. Fetuses are typically considered viable after the twenty-fourth week of pregnancy. The conception standard of personhood considers the fetus a “person” at any stage in development. Of the three standards, the conception standard should be used in modern statues. As medical technology improves, the point at which a fetus can be described as being viable may change. Infants delivered prematurely have been known to survive even at twenty-two weeks gestation. As long as the statutes provide that the fetal-homicide law does not conflict with existing abortion law, the conception standard should be used in order to adequately protect the rights of the mother to carry the fetus to term. Psychological Perspectives on Abortion - Psychological Perspectives on Abortion Research Papers examine two different sides of this moral issue, pro-choice versus pro-life. Sociological Perspectives on Abortion - Sociological Perspectives on Abortion research papers look at a controversial topic with the different political stand points on the topic of abortion. Pro-Choice - Pro-Choice research papers focus on the side of the abortion debate that favors a woman's right to choose. Roe vs. Wade - Roe vs. Wade research papers examine the Supreme Court case that ended the Pro-life verses Pro-choice debate in the 1970's. Pro-Life - Pro-Life research papers focus on the issues that conservative, right to life supporters hold. Fetal Development essays look into the process by which a fertilized human egg grows into a fetus and is born as a viable human being. Human Reproduction Research Papers examine the reproductive process from conception to birth. Partial-Birth Abortion research papers overview the different opinions on one of the most controversial abortion issues since Roe vs. Wade to reach the Supreme Court. Abortion and Politics Research Papers contain an analysis of abortion and politics. Paper Masters writes custom research papers on Fetal Viability research papers discuss the abortion issue from the stance of when is a fetus determined to be viable.